Songwriter, musician TEMISAN has been described as a heart robber by many fans " But that's not saying his music is sad or depressing. The "melancholy" represents TEMISAN's reflectiveness, youth, and poetic nature. In fact, when it comes to his music, poetry comes before a single note is even written. "I try to pride myself on lyrics," TEMISAN explains. "I think it's incredibly important that lyrics are honest and come from somewhere that really means something to the writer." The question still remains, whose side is Temisan on? Every song points in the direction every girl craves for. 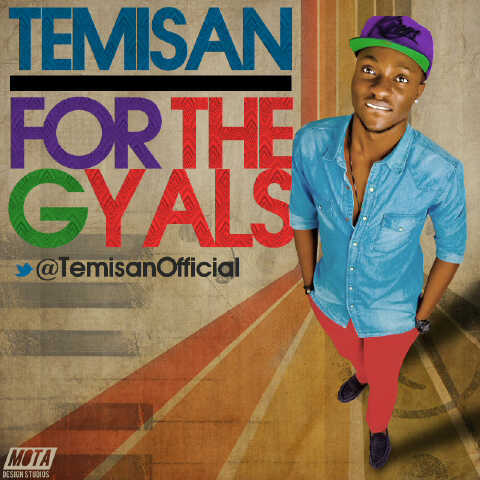 Temisan is slowly building a huge fan base with the ladies and with this song "forDgyals" he has once more stolen their hearts earning himself the title of "Temisan forDgyals" LOL. 'ForDGyals' was produced by El Emcee...This is once again another classic. Enjoy.